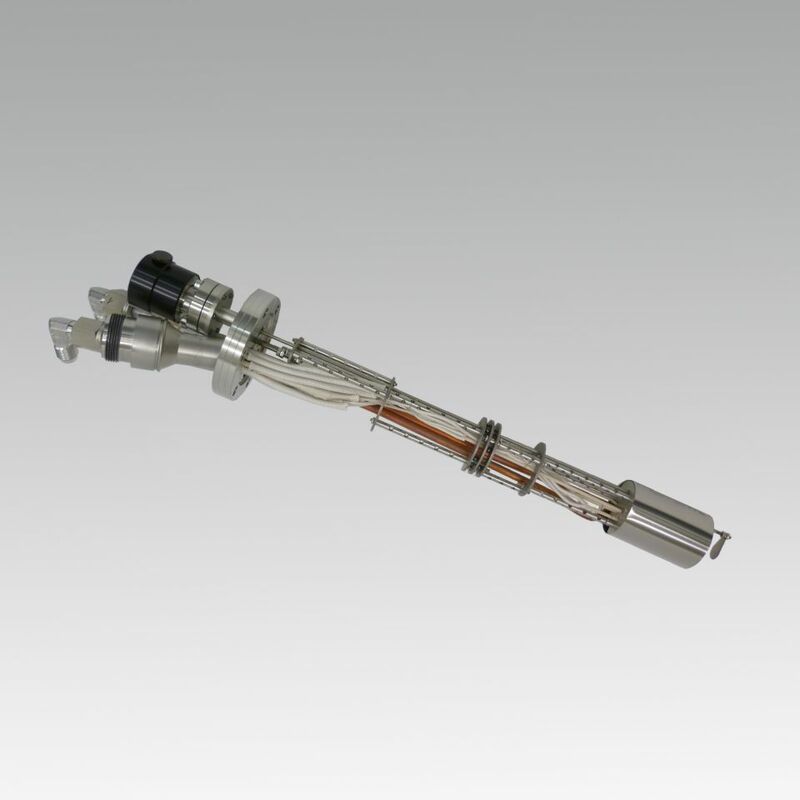 The Ultra Low Temperature Cell (ULTC) evaporates materials in a very low temperature range. The crucible is surrounded by a cooling coil to reach ultra low temperatures and a heating element to control the flux of the condensated material. The coil is cooled by dry nitrogen.